A more than welcome relief for the Radford Family's MISTER WHITAKER who shrugged of 12 months of frustration to stamp his authority on Sunday by taking the 0-135 novices chase under Adrian Heskin at Carlise. The five year old son of Court Cave took the two and a half mile contest in convincing fashion off a mark of 118 and, to be honest, it's not before time. The early part of his career in bumpers and over hurdles showed that he had ability but it was a case of biding our time and his introduction to the bigger obstacles that would see him in his true light. He travelled well throughout and jumped beautifully yesterday under a fine ride with the Boss now delighted that the real work is about to truly begin. "He's always been alright but we've had a frustrating time - for both the Radfords and with the horse. "He's always been a 'tomorrow horse' but there's often been times when I though tomorrow would never come. He found things tough in his bumpers and over hurdles and never really made me happy when he came out of his races. "That said though, he always gave us glimpses that he had a future and we're on the right track now. 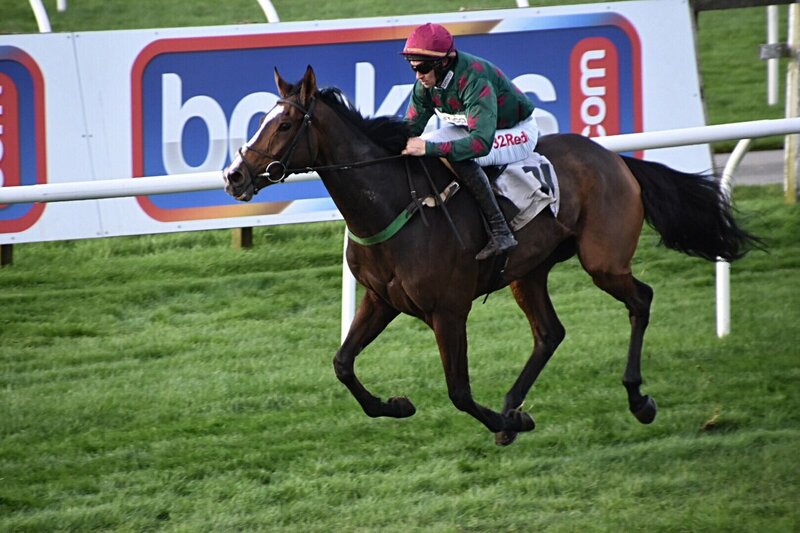 "His debut over fences last month was very encouraging and Hen's got him jumping beautifully. His work at home has been great and although he's only five, he's come a hell of a long way since we put him away back in the spring. "He's a horse who I want to see thrive from here on in. He's a great looker and has a great attitude and you can draw your own conclusions from yesterday's performance. "He'll get further and hopefully take Tim and the team to where they want to be in the season ahead."